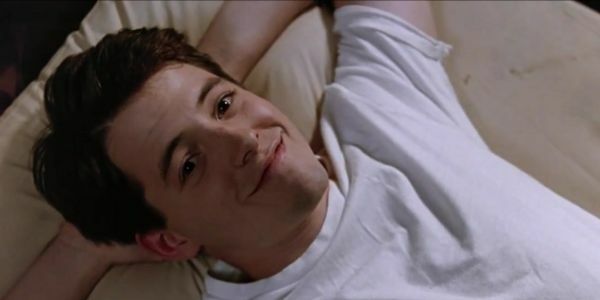 It’s been 30 years since Ferris Bueller took his iconic "Day Off" in the John Hughes movie that goes by that name. While this fact makes some of us feel really, really old, for everybody else it will be a time to celebrate, and that includes the Windy City. The city of Chicago will pull out all the stops for "Ferris Fest" this May, which will give fans an opportunity to relive all of the memorable moments from Ferris Bueller’s Day Off. Ferris Fest is set for the weekend of May 20-22, so you’ve got some time to make your plans if you’d like to attend. Attractions for the event will include a bus tour that retraces the steps that Ferris Bueller took on that fateful day, along with his best friend Cameron and girlfriend Sloane, played by Matthew Broderick, Alan Ruck, and Mia Sara respectively. Fans will be able to visit a recreation of Ferris’ bedroom and also sit in the same seats at Wrigley Stadium where the friends watched a game. According to the Chicago Tribune, the Cubs will be playing an away game that day, so any chants of "Hey batter batter" will go unheard by the players. There will also be a recreation of the parade float that Ferris hijacked, even though Von Steuben Day isn’t until September. Finally, there will, of course, be a screening of Ferris Bueller's Day Off at the theater named for the film’s director, John Hughes, and his wife Nancy. The event organizers are hoping to have as many of the film’s stars on hand as possible. At this point it appears that only Ferris’ parents, actors Cindy Pickett and Lyman Ward, have confirmed their attendance although it looks as though Matthew Broderick and the rest of the gang are still possibilities. Hopefully, at least one or two of the main actors will be there. Also, Ben Stein needs to make an appearance and lead the crowd in a "Bueller...Beuller" chant. Ferris Bueller’s Day Off has become one of the more popular of John Hughes films from the 1980’s. While it wasn’t a runaway hit upon its initial release, the picture became a hit on home video as more and more people were exposed to it. Today, it’s one of those movies that everybody understands when you reference it, even if you haven’t actually seen the movie. Most recently, Deadpool, a movie that made more pop culture references than we could count, made one of its clearest nods to the comedy. Now that you know that Ferris Fest is happening, will you be making plans to attend? What other movies should receive this kind of treatment?